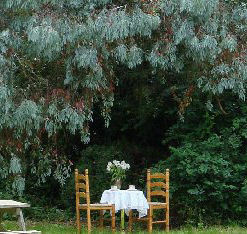 Da Vinci guest house ~ Offering bed and breakfast accommodation in Crawley, Gatwick West Sussex. Gatwick Airport secure parking with or without accommodation. Gatwick Guest House - with secure car parking, is set in approximately 2 acres of garden and provides an atmosphere of peace and tranquillity. Only 10 minutes drive from London Gatwick International Airport and 8 minutes from Crawley Industrial Business Centre and Crawley Town Centre where you will find a wide range of shopping, entertainment and leisure facilities. or if you prefer you can email us or fill in the booking form and submit it specifying your requirements. Da Vinci Manor guest house gatwick offers excellent service, very clean , safe and comfortable. Great value!!. Will return and for sure will recommend to friends and family members.